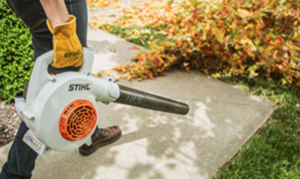 Save 50% off gutter cleaning kit with purchase of select gasoline Stihl handheld blowers. Now Only $24.99! A $49.99 BME-SRP. Below are the select handheld blowers that qualify towards this gutter cleaning kit special offer. Hurry down to Foreman’s this offer won’t last long! Click here to check out all of the Stihl Special Offers going on now at Foreman’s General Store! This entry was posted on Thursday, September 6th, 2018 at 2:51 pm	and is filed under Lawn & Garden, News & Updates, Specials. You can follow any responses to this entry through the RSS 2.0 feed. Both comments and pings are currently closed.